Common Merganser by Christopher Martin. I saw a couple of these birds today, but did not take any pictures (a.k.a. cute iPhone fuzzies). Check out Christopher Martin’s blog. His wildlife photography is gorgeous! I walked to River Park today. I didn’t plan on walking in very far… I thought I’d meander for 10 minutes or so along the path at the edge of the cliff and then head back home. 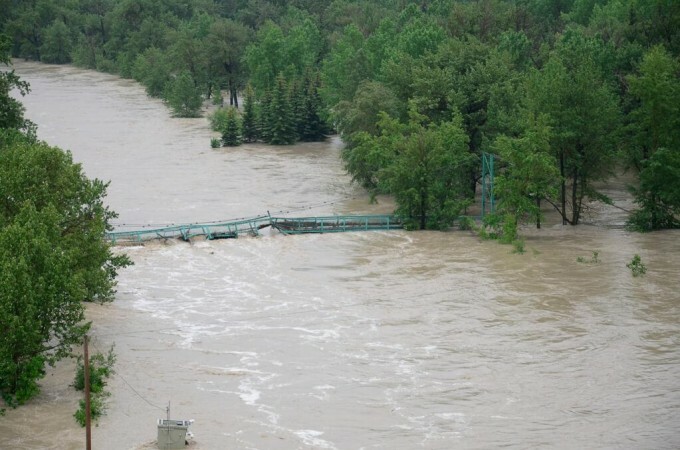 But then I saw the pedestrian bridge down below, which connects Sandy Beach Park to Britannia Slopes on the east side of the Elbow River. I read a few days ago that the bridge was opening on November 23rd, so I was curious to see what work was still being done to get it ready for the big day. There was a big yellow excavator on the eastern bank rumbling away. When I walked down the path to Sandy Beach Park (my first time visiting that park), I lost interest in the bridge and excavator. I admired the cleared and graveled bike path for a little while, then read some information about trout nests (called redds). Then I saw some unusual ducks land on the river. By unusual, I mean not mallards. So I walked to the river’s edge to take a closer look. The pair of red-headed ducks flew away downstream when I was still many meters away. They were red-headed ducks but not Redhead ducks. I looked at many duck images when I got home and am fairly certain they were female Common Mergansers. One of the “unusual ducks” flew upstream a little later, and I saw the colours of one of its wings. 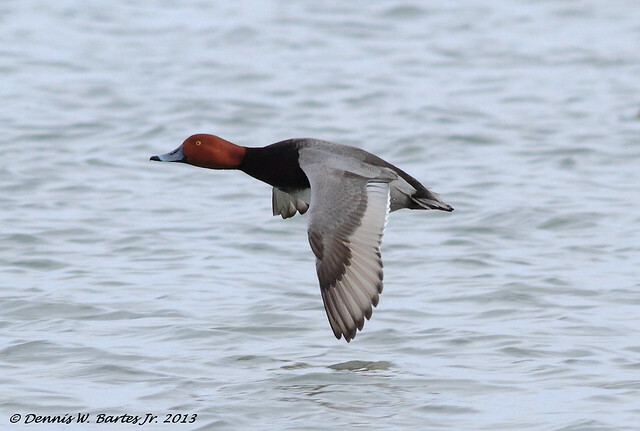 Redhead duck by Dennis W. Bartes Jr. 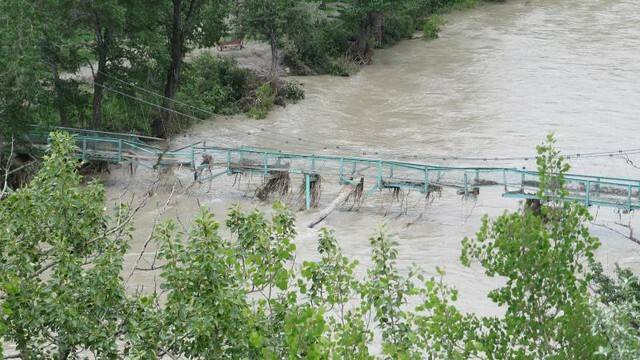 This is what the pedestrian bridge looked like after the flood in June of last year. Nice image of the Merganser taking flight. We enjoy watching them here on the Shuswap. Christopher Martin takes gorgeous photos of the wildlife and landscapes within a few hours of Calgary. Before I got my own camera, I would post other people’s photos sometimes. I’ve thought about removing those posts but I still like the stories they have to tell. The day in this post kind of sparked my interest in birds. I guess you live near Shuswap Lake? Looks like a beautiful place. My husband and I drove by there last October on the way to and from Vancouver.